With refreshing simplicity, Coffeehouse Chess Tactics shows how to turn bad, even seemingly hopeless positions to our advantage. How to distinguish the essential from the trivial. How to adapt according to the situation on the board. Each game sparkles with some unusual tactical or defensive motif. Along with the games the author describes in eloquent but brutal language the beautiful, sometimes terrible, world of chess "where sport, art and science merge. Where adrenalin gives such a high. Where hours pass, many, many of them so that we do not know what time it is any more!" Fascinating and compelling, ’Coffeehouse Chess Tactics’ takes the reader on an astonishing trip into the world of competitive chess. ’The Grass Arena’ catapulted John Healy to worldwide literary fame. 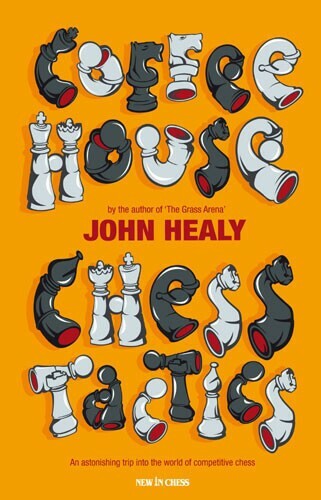 That classic memoir described how Healy, by discovering chess, escaped a life of alcoholism, violence, vagrancy and crime. But what of his chess? As an outsider he exerted a powerful allure, especially when his bad reputation was accompanied by skill and glory. He won many tournaments.